The Mahindra XUV500 is finally getting the much-needed update this month and the facelifted model is set to go on sale in India on April 18. In addition to cosmetic changes and a host of new features, the Mahindra XUV500 facelift is also expected to come with an updated engine, offering more power and torque. 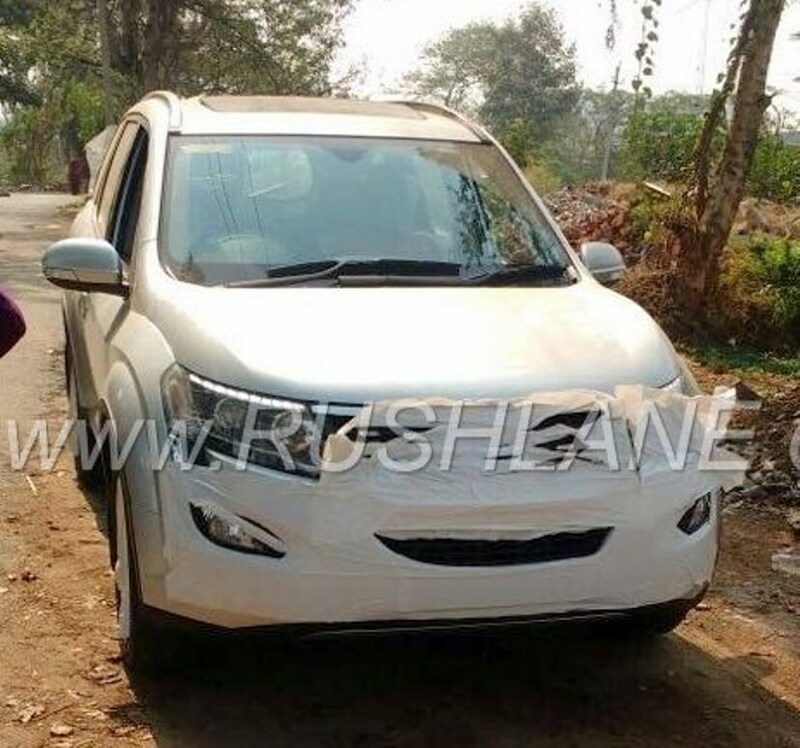 While the technical specifications and engine details are yet to be announced, based on the numerous spy images that have surfaced online in recent weeks, we already know a fair bit about the 2018 Mahindra XUV500. The Mahindra XUV500 facelift will now come with updated variant names like the Scorpio facelift, using odd numbers instead of even numbers. The SUV will be offered in four primary variants - W5, W7, W9 and W11, and multiple iterations depending on engine and transmission options. The XUV500 facelift will continue to be powered by the 2.2-litre mHawk diesel engine which will now come in two states of tune, the existing 140 bhp and 330 Nm torque options and an updated 157 bhp and 360 Nm torque version. The latter is likely to be offered with the top-spec W11 variant. Mahindra will also continue to offer the existing 2.2-litre mHawk petrol engine with the facelift XUV500. However, the power output for this one is expected to remain unchanged at 140 bhp and 320 Nm of peak torque. Transmission options are expected to remain unchanged and the XUV500 facelift will continue to come with the 6-speed manual gearbox and the Aisin-sourced 6-speed automatic torque converter unit. While the diesel model will come with the option of either of them, the petrol model will get the automatic transmission as standard. Visually, the 2018 Mahindra XUV500 comes with a host of exterior updated like a new, larger grille with chrome surrounds and centre inserts. 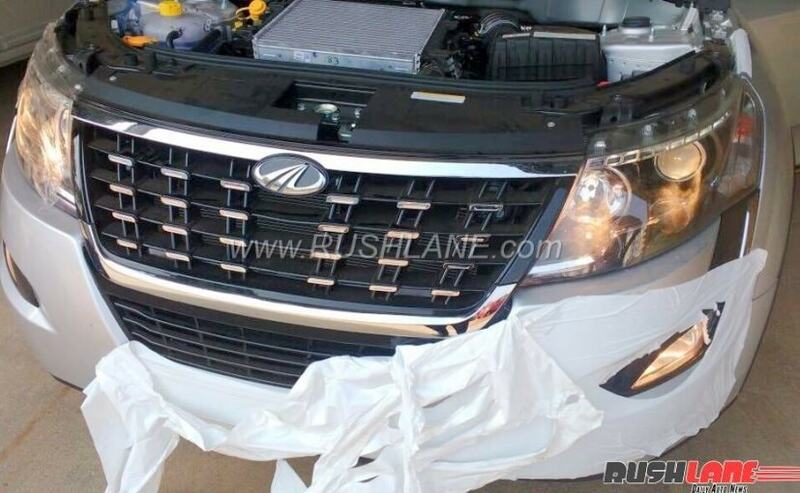 The grille is flanked by a pair of large projector headlamps that are likely to come with integrated LED daytime running lights. The SUV also gets new foglamps with L-shaped black bezels that extend up to the headlamps and a new larger central airdam. The XUV500 facelift also comes with new exterior equipment like updated ORVMs with integrated LED turn signal lights, new sportier alloy wheels, and all-new wraparound LED taillights with the individual brake lights position below them. 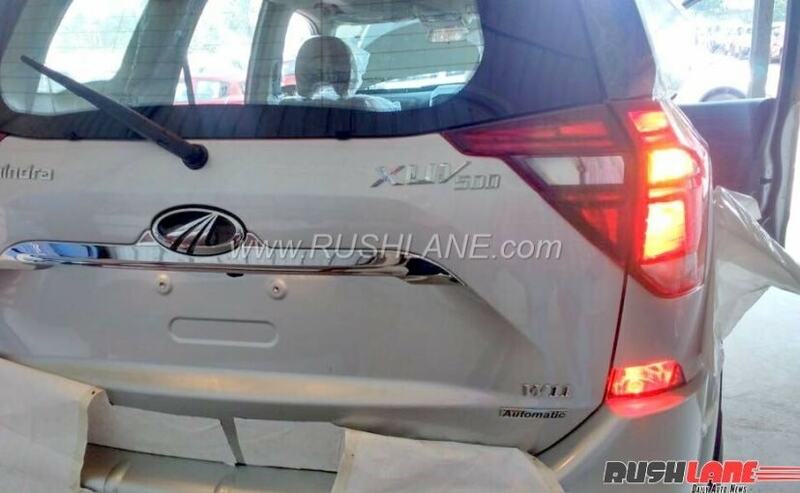 The updated XUV500 also gets a new tailgate more sculpted lines and a larger housing for the number plate. The cabin of the XUV500 facelift has also been revised and it now comes with tan upholstery with cross-stitching and refreshed dashboard with piano black and faux aluminium inserts on the centre console. The SUV will continue to be offered with a 7-seater cabin layout with revised interior design. On the features front, the top-spec model of the XUV500 facelift will also be offered with aluminium pedal in a bid to look and feel a little sporty. 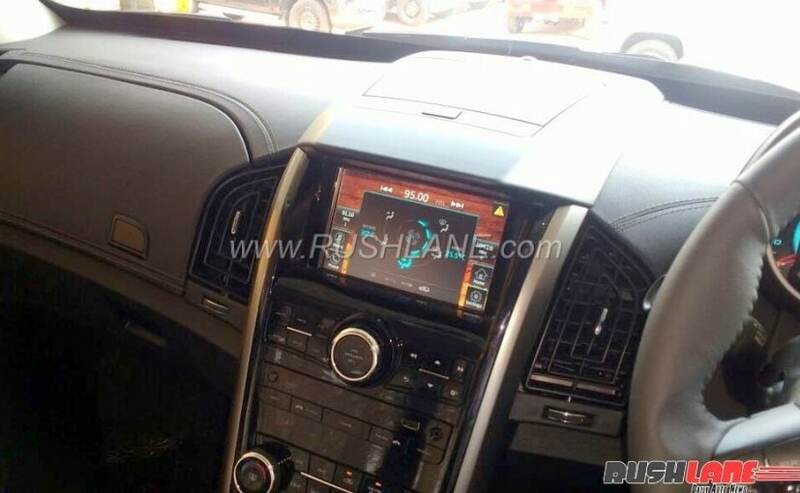 The XUV500 facelift will also get a new infotainment system which will come with smartphone integration in the form of Android Auto and MirrorLink. An updated centre console and a new instrument cluster will also be on offer. The XUV500 facelift will also come with a host of other features like additional cubby holes and cabin storage compartments, engine start-stop button, new automatic climate control, sunroof and more. On the safety front, we expected Mahindra XUV500 facelift will continue to offer dual airbags and ABS with EBD as standard, while side and curtain airbags will come as an option. The SUV will also come with keyless entry, hill hold and descent assist, and rear camera with parking sensors.